Josiah Clarke is an associate in the Denver office of Gibson, Dunn & Crutcher, practicing in the firm’s Litigation Department. His primary focus is data privacy and cybersecurity compliance. He has worked with large multinational corporations as well as small non-profits to address HIPAA and GDPR requirements, as well as other state and federal privacy and cybersecurity laws. He has experience drafting policies, evaluating privacy and cybersecurity compliance programs, and assisting clients who have experienced a data breach. In addition to this work, he has assisted clients undergoing investigation by the Securities and Exchange Commission and the Department of Justice, and has participated in various stages of litigation. He also maintains a healthy pro bono practice, primarily helping clients in immigration efforts. 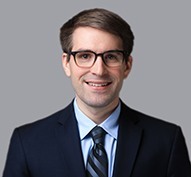 Mr. Clarke graduated with high honors from the University of Texas School of Law in 2017, where he was selected for the prestigious Chancellor’s list for academic achievement. During law school he served as an Associate Editor of the Texas Law Review and as Treasurer of Texas Law Fellowships, a non-profit organization that provides public interest fellowships to students. He also represented youth in the juvenile court in Austin. During his third year of law school, Mr. Clarke spent time in Switzerland learning about international arbitration and international trade agreements. Mr. Clarke is admitted to practice law in Colorado.